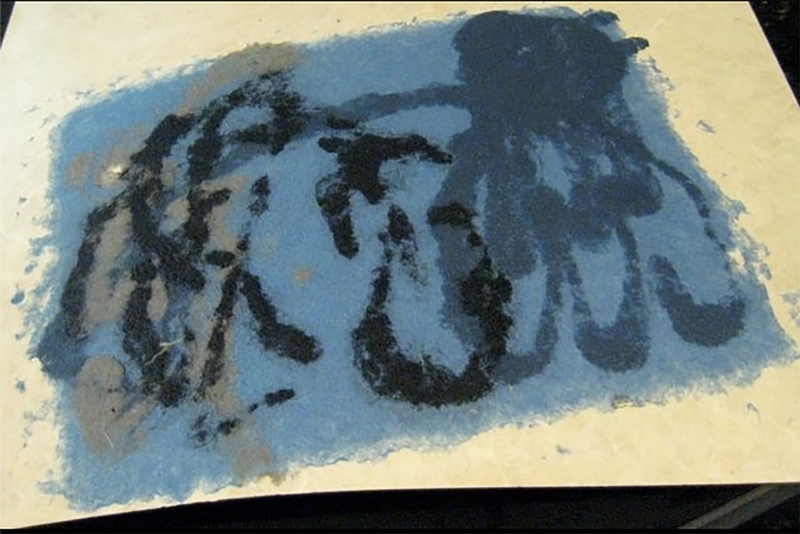 Here are Liliana's handmade papers from her second day of papermaking. She is using a a variety of pulps from the Introduction to papermaking class: blue jean pulp, a variety of plant fiber pulps, abaca and black denim pulp. This is Carol's second day of papermaking. 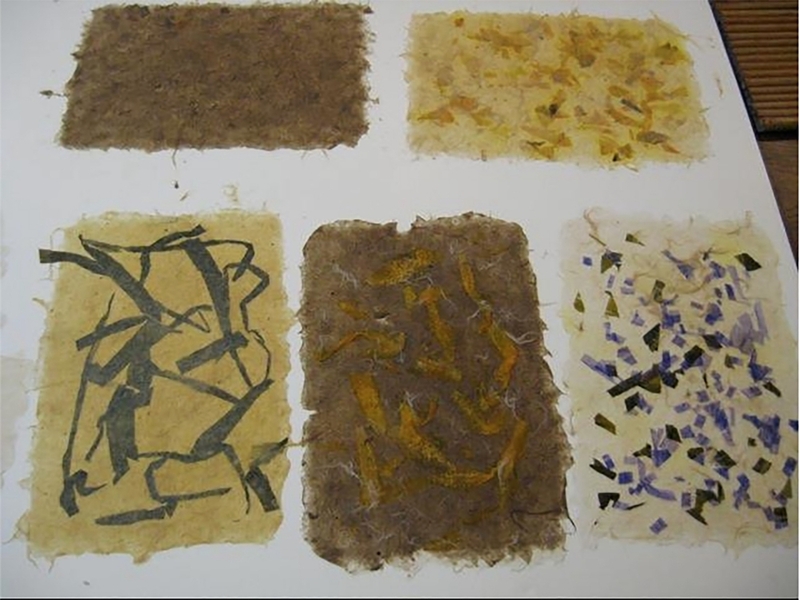 She also took the workshop Introduction to papermaking and came back for a second day with Liliana to make more paper. This piece contains a variety of pulps including artemisia and abaca, and some colored pulps and string. Here are more of Carol's handmade papers. Here, Liliana is building a collage with torn bits of her paintings and handmade paper pulp from abaca and other plant fibers. 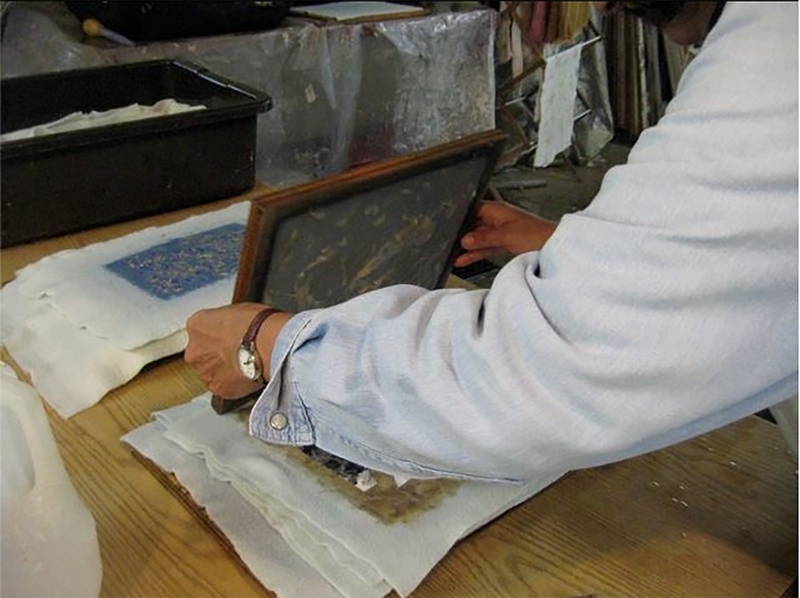 Carmela is couching a sheet of handmade paper onto wet felts in the introduction to papermaking workshop. This paper is made with blue jean pulp, abaca and other plant fibers.